Reputation is a fundamental part of doing business on eBay. 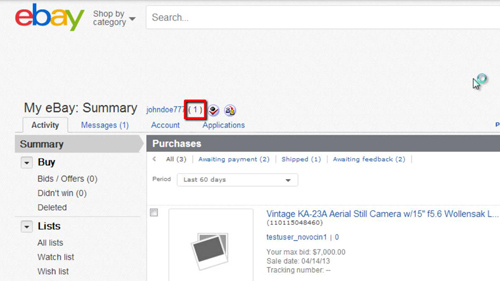 This tutorial is going to show you how to check your eBay feedback score. Go to eBay and make sure that you are logged into your account. At the top of the page click the “My eBay” button. On this page you will be provided with a summary of your feedback next to your username. This number is a calculation based on positive feedback minus any negative feedback – the higher this number the stronger your reputation. To get more detailed information about this score, click on the number. This will load your “Feedback profile” and you can see a breakdown of all your feedback – positive, negative or neutral. It also gives you an idea of when the feedback was left. 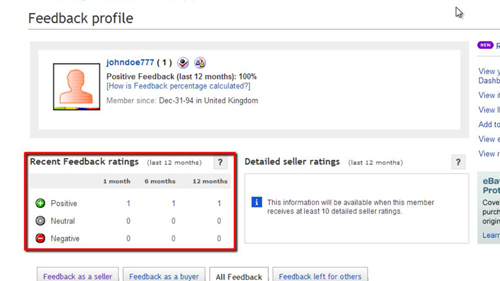 This is useful to people who are trading with you as it lets them know that you are maintaining a good standing on eBay. Scroll further down the page and you will see all of your feedback in a list, including the comment that the other user has left about you. There are four different tabs so you can see your feedback as a seller, buyer or combined. 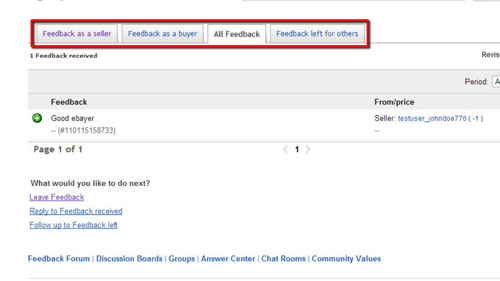 You are also able to view the feedback that you have left for other users and that is how to see your eBay feedback score.